Caicos Bakery is located at Caicos Cafe Plaza in Grace Bay. Caicos Bakery is located in central Grace Bay at the Caicos Café Plaza. This quaint shops serves freshly baked bread, pastries, croissants, Danishes, and a selection of drinks and coffee. Garden seating can be found outside the bakery. Caicos Bakery also creates beautiful custom cakes for special events! 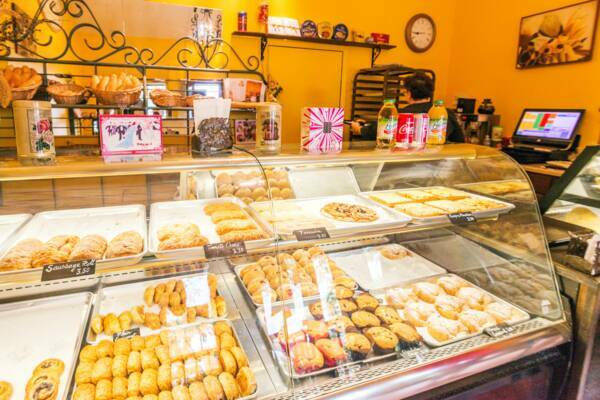 The baked goods at Caicos Bakery are created fresh every day. Last reviewed by an editor on 25 February 2019.